To ripen the bananas faster, place them in a brown paper bag with an apple and leave it at room temperature to speed up the ripening process. When the bananas are ripe, peel them and slice them into medallions and lay them out on layers of waxed paper in a tupperware container and place in the freezer. Remove them from the freezer to put in smoothies. Note: Do not defrost them, they will turn black. Put the frozen slices directly in the blender. Make banana soft serve: Place frozen banana medallions in a food processor or high powered blender and pulse until the consistency of soft serve ice cream is reached. Top with peanut or pistachio chunks, sliced strawberries, a dollop of Greek yogurt, etc. for a soft serve sundae! 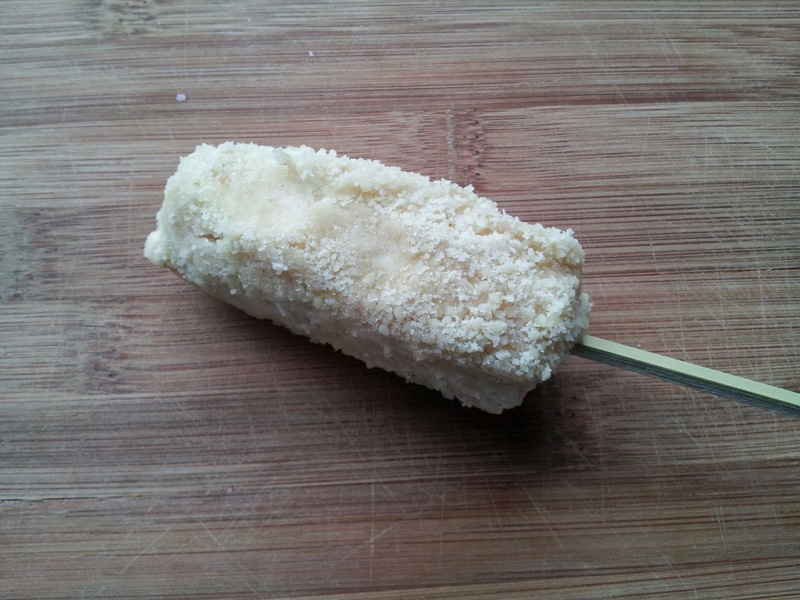 Make frozen banana pops (recipe below). Line a cookie sheet with waxed paper or aluminum foil. In a small bowl, combine yogurt, cinnamon and honey. In a second bowl, pour ground almonds. Cut bananas in half. Roll banana in yogurt mix, thoroughly coating. Next, roll it in ground almonds to cover. Place the banana on its side on the cookie sheet and insert a skewer into the bottom. Repeat with remaining bananas. Freeze for at least 2 hours before serving.